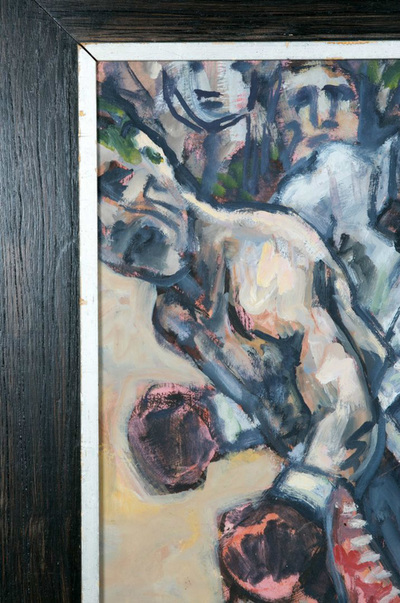 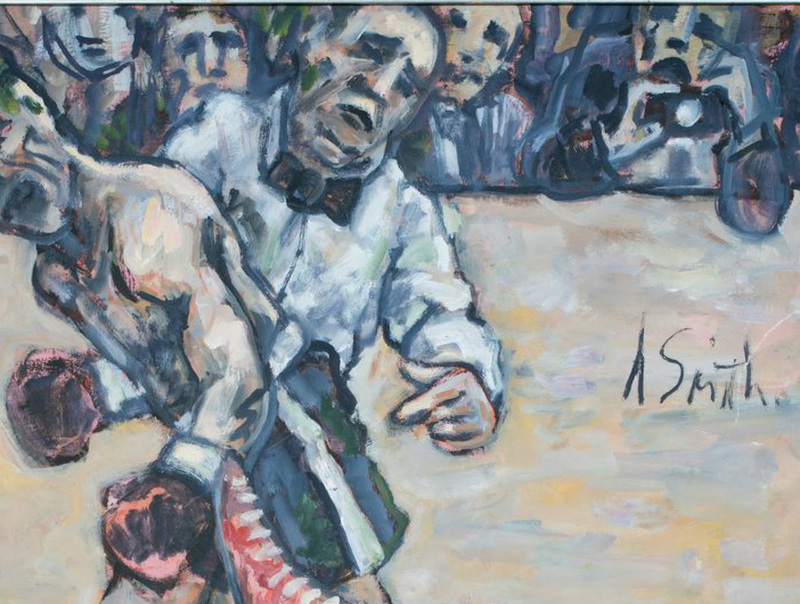 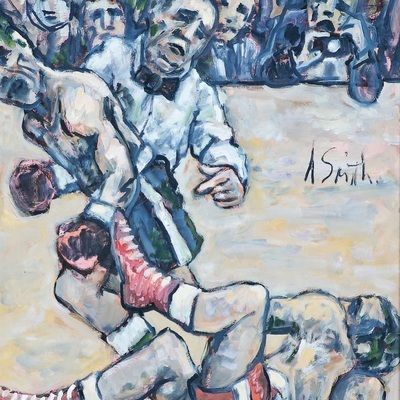 "The Count" boxing painting by Arthur Smith. 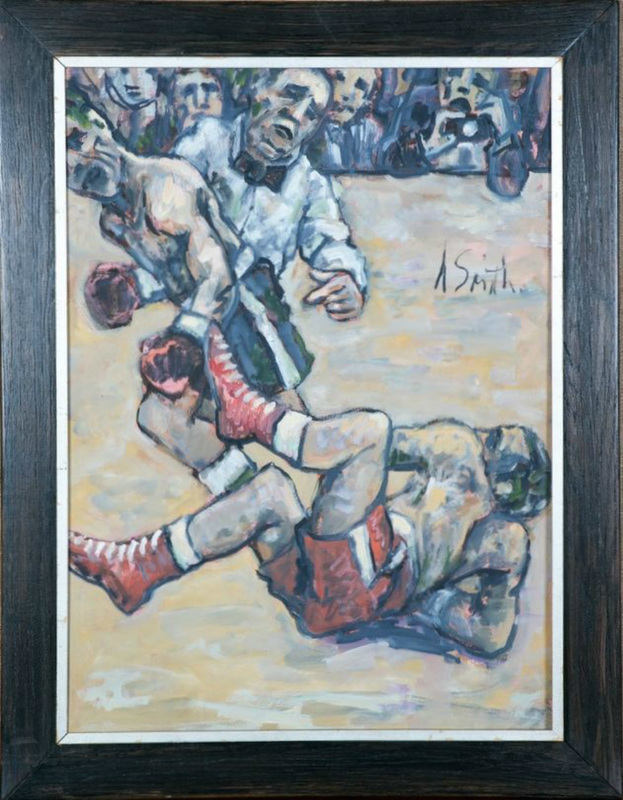 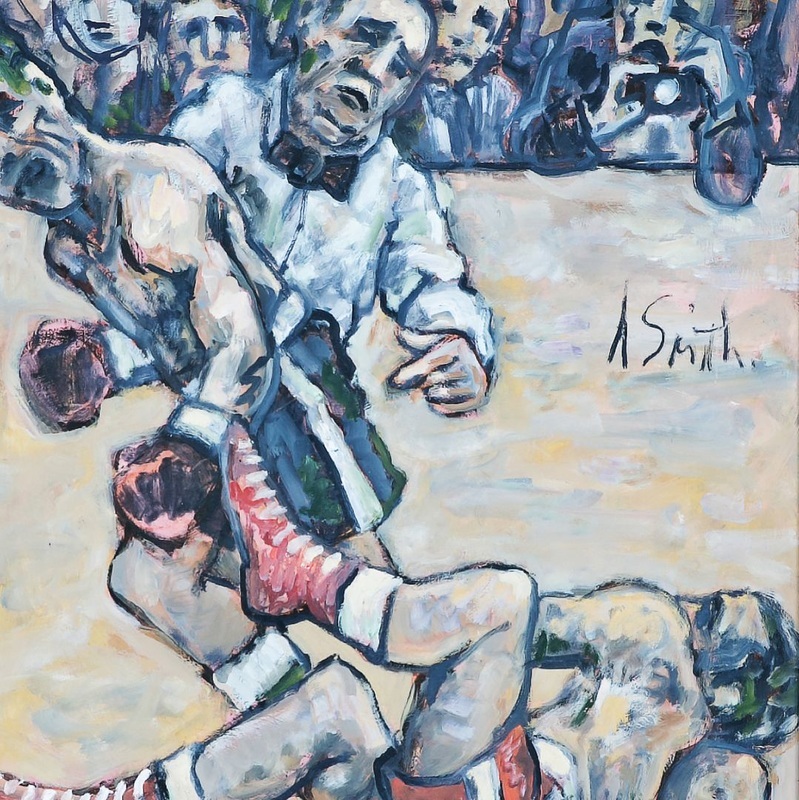 Arthur Smith is a listed American painter most famous for his paintings of sporting scenes, particularly boxing. 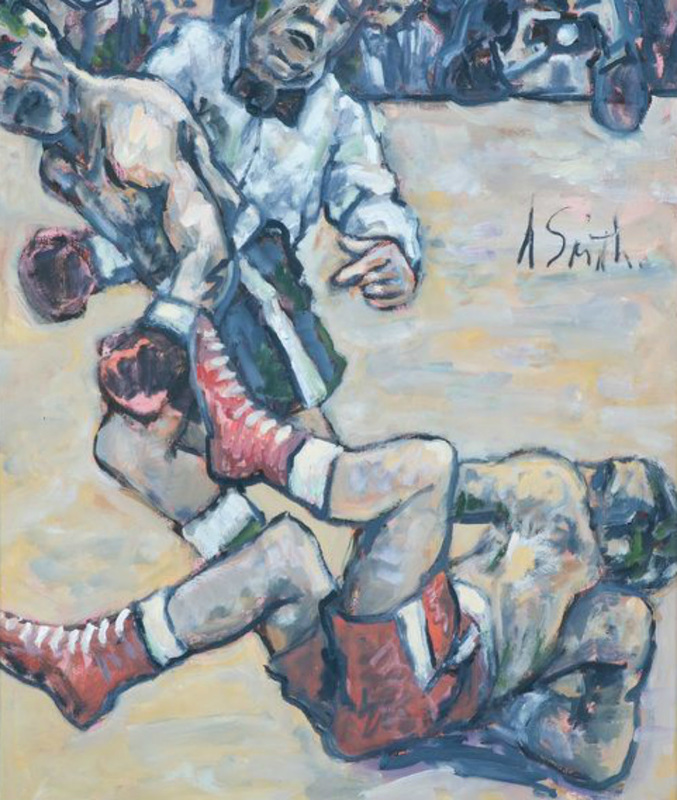 Born in New York City, Smith painted for the Federal WPA Program in the 1930s and 1940s, and was thought to be an illustrator for The Ring boxing magazine. 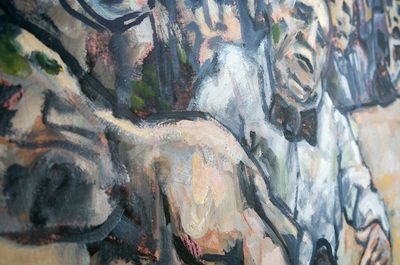 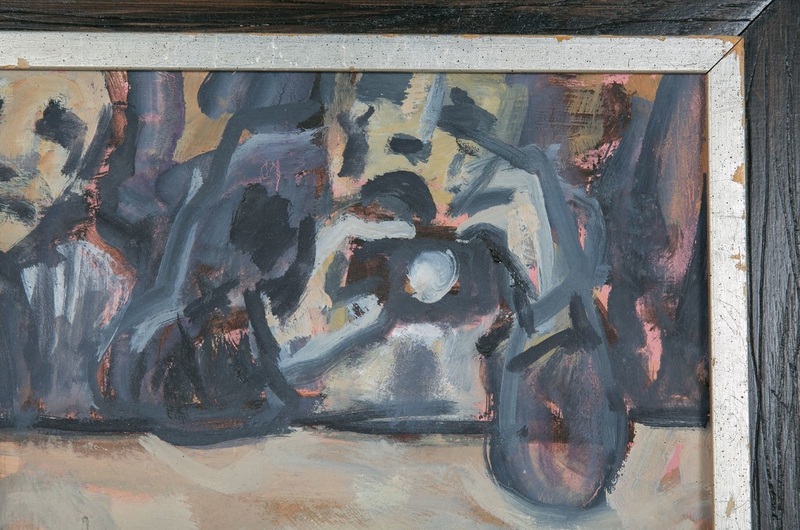 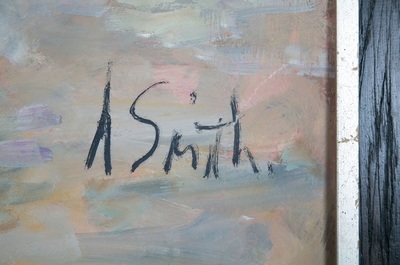 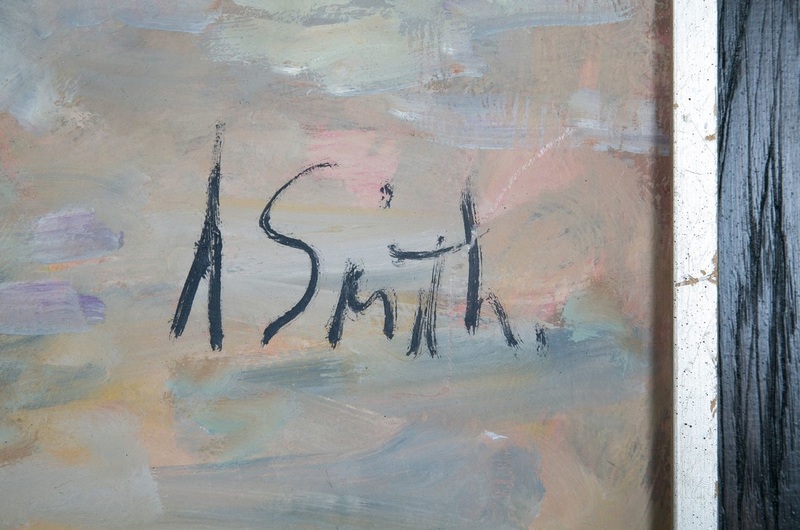 The controversy surrounding his identity has only made his paintings more popular. 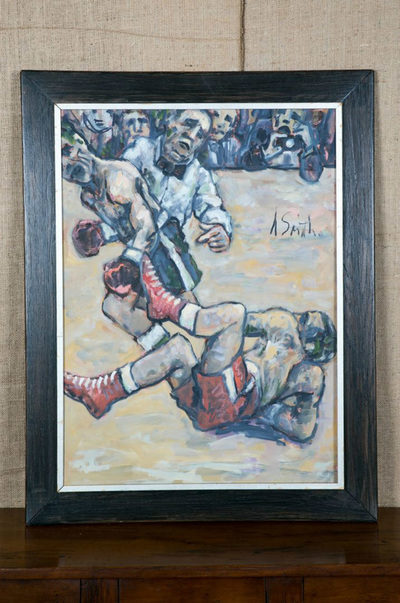 They continue to be highly collectible, especially among those who want both WPA and boxing venue art pieces. 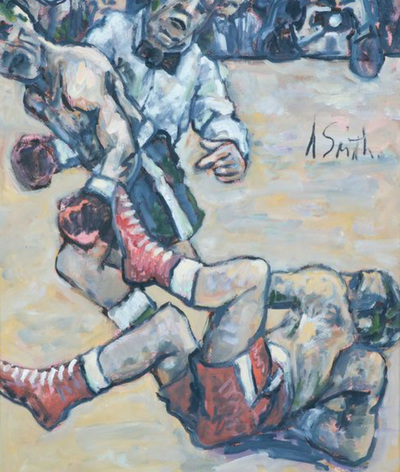 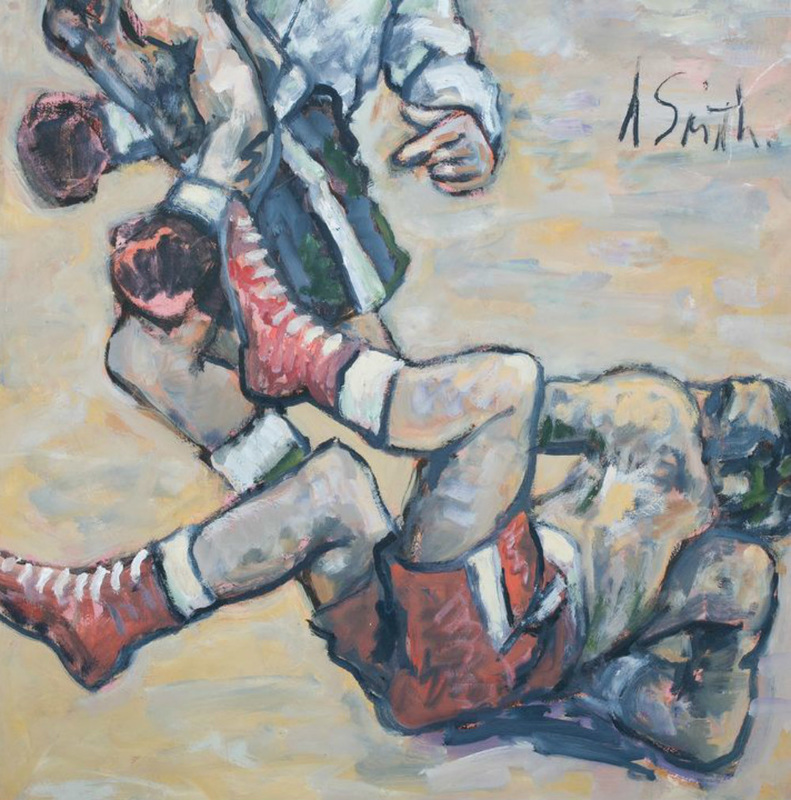 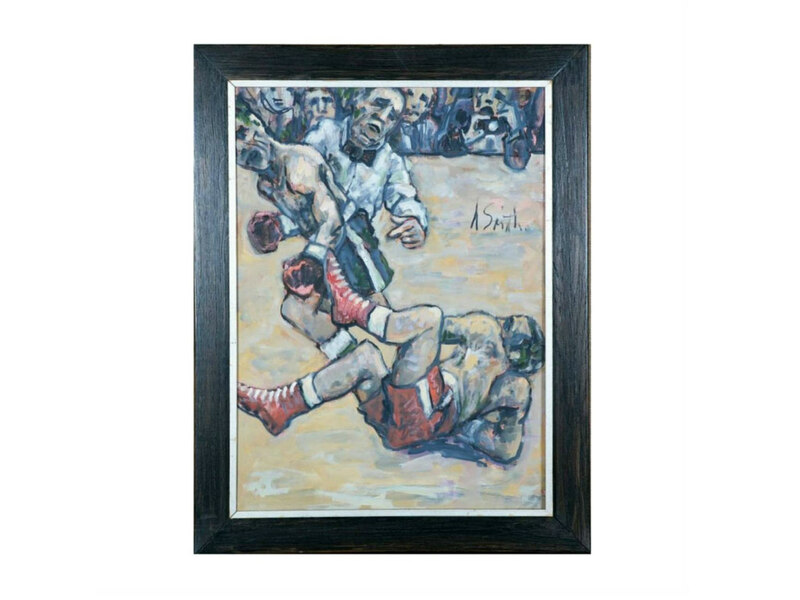 Smith's fixation with the colorful world of boxing is obvious in this wonderful oil on board painting, in fine condition with crisp colors. 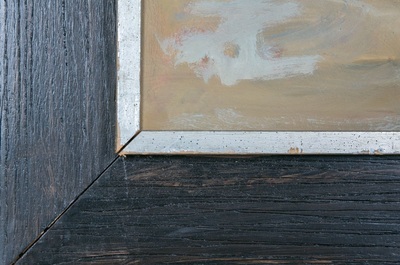 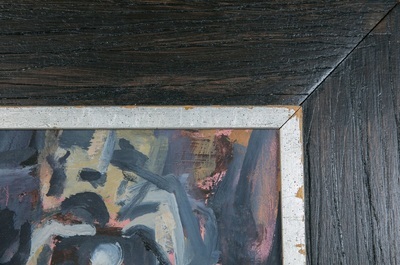 The 3" wide frame is solid painted wood.